Thank each and every one of you for your support for and interest in our research. I am writing to update you with regard to the activities of the Comet Research Group and share our plans for the near and mid-term future. The update is being shared with the nearly one thousand supporters of our Indiegogo crowdfunding campaign, our 1000 friends on Facebook, and visitors to our website. Despite falling short of our target fundraising goal, we consider the $35,000 raised between November 14 and January 14 an enormous success. We will be able to significantly subsidize two of our three planned #killercomet expeditions, and a third is proceeding as planned at our own expense. The funded trips will be the “Ice Diamonds” and “Sunken Crater” expeditions. Planning and logistics are well underway for getting to Kangerlussuaq, Greenland in late June and returning with 200 gallons of melted ice water from Greenland Ice Cap. As for North America, the CRG is evaluating options for a crater hunt which may include a detour to North Dakota — so stay tuned there.. But first up – this week and the following week – is the “Fire from the Sky” Expedition to Tall el-Hammam in the Jordan Valley. CRG scientists Phil Silvia and Malcolm LeCompte will be collecting and sharing field data related to the hypothesis that an ancient catastrophe — recorded in the Bible as the destruction of Sodom and Gomorrah – was actually an airburst of a #killercomet. 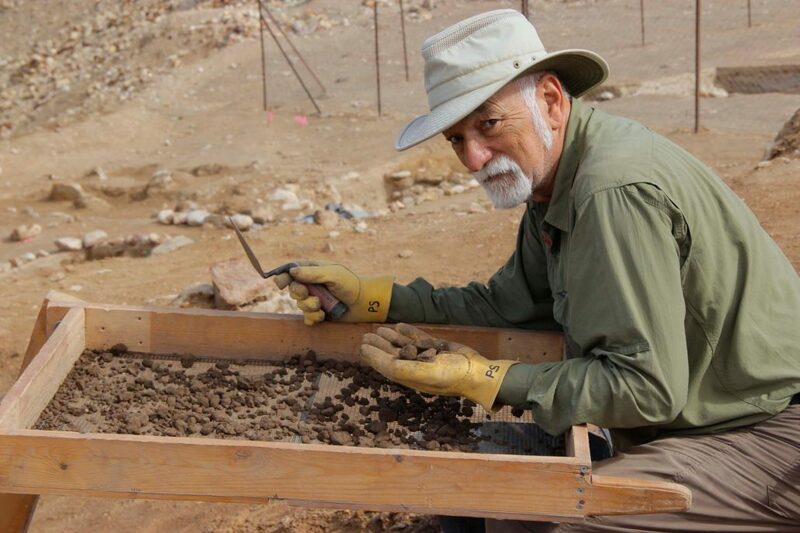 These two team members will be part of larger group excavating an ancient settlement at the foot of Mount Nebo directly across from Jericho on the east bank of the Jordan river. Over the next two weeks I will be posting video and photo updates of the Jordan field work to the CRG Facebook page, along with direct dig reports from Director. If you are one of the crowdfund donors (thanks! ), we encourage you to also bookmark the Facebook page which is open to the public. Shortly after Drs. LeCompte and Silvia return, we will notify everyone of a date and time for the “Ask the Scientist” session, as promised in the campaign, and with exclusive access for some donors. I am so pleased we are touch with all of you. Only months ago our “community” consisted of fifty or so scientists keeping in touch by email, as we researched an obscure and controversial subject. It was really kind of lonely. But now, as a result of the crowdfunding effort, and its collateral social media, 2000 interested citizen scientists like you have joined us. But a plea for patience: Unlike everyone under 40, we are new to social media. Our communications might not have the social polish and frequency of other internet driven communities. So stick with us as we develop the cheap and easy methods to plug you in – and be confident our research, which you are assisting, is progressing smoothly in any case.